Xcaret, Playa del Carmen was the first of six eco parks under the Experiencias Xcaret umbrella and is one of the largest theme parks in Mexico. But is this the best park for you? This Xcaret review and itineraries should help you to decide and make the most of your time there. The 250-acre eco-park holds more than 40 attractions including adventurous aquatic activities, fun and educational natural and cultural attractions, and impressive live shows. Situated just minutes from Playa del Carmen it is one of the most popular attractions in the Riviera Maya of Mexico and attracts over a million visitors each year from all over the world. Due to the size of the park and the immense amount of things to see and do it really does deserve at least two days to see everything. Luckily, Xcaret Park offers multi-day passes. However, if all you have time for is one full day you can still hit the main attractions and have a fantastic time. Especially if you do a bit of pre-planning with our handy itineraries below. As we just mentioned, there are so many Xcaret activities that it is next to impossible to really see everything in just one day which is why some planning is a good idea. The first thing we suggest you do in the planning stage is to look at the many Xcaret park activities and decide what your priorities and likes are. Do you favor water and aquatic activities? Does your love of nature top everything else? Or are you really interested in learning more about the Mayan culture? Once you’ve determined what your priorities are take a look at the map of Xcaret park and suggested itineraries for Xcaret adventure park below and create your own day of fun. Keep in mind that if you are a family or group of four or more and you have different interests you could always split up for the morning/afternoon and set a time to meet for lunch. Since we enjoy variety and wanted to taste a bit of all Xcaret Park has to offer we created a balanced day by combining a little parts of everything that makes Xcaret eco theme park special. If that sounds like you then you may want to use our personal Xcaret itinerary as a guide. *Note: Everything on this itinerary is included with the basic Park Admission unless otherwise noted as extra charge. Pick up a map and make your way to the events board just inside the park. Some of the shows and events change regularly and you won’t find them online so therefore can’t pre-plan. If there is something in particular you want to see you’ll have to adjust this itinerary accordingly. We opted to just go to the big evening extravaganza usually about 7:00pm. First stop is at the Rotating Scenic Tower (#16 on map) for a spectacular panoramic view of the entire park and out to the Caribbean Sea. About 10:30 am head to the lockers near the beginning of the Underground River (#12 on map). Here for an extra charge (unless you purchased the Plus ticket) you can get a locker for the day and rent snorkel gear. You can then change into your swimsuit, grab a life vest (free and mandatory) and get ready for the underwater river. As an alternate to the locker you can put all of your belongings in a large locking dry bag (no charge) which will be transported to the end of the river. We chose to rent a locker for some things (valuables, non water camera, car keys, extra money etc) and placed items in the transit bag that we would want to use at the beach at the end of the river (towel, flip flops, sunscreen, some money etc). To swim/snorkel the underground river to the end takes about 45 min to 1 hour. Be sure to stop at the photo points along the way. Around noon you will emerge from the river at the other end of the park right where it meets the Caribbean Sea (#36 on map). Here you can pick up your belongings and return your life vest but hold on to your snorkel gear. Follow the black route past the Manatee Lagoon and stay right following signs for the beaches, natural pools and snorkeling inlet (#4 & #21 on map). This is where you’ll be for the next hour or two. You can snorkel, take part in water activities or simply find a beach chair or hammock to take a nap. Right about now you’ll likely be ready for lunch. There are a couple of restaurants and bars you can eat at (extra charge unless you purchased the Plus ticket) and you can choose a sit down meal, a buffet or as we did order some fajitas and margaritas at a beach palapa. By this time it should be around 2:00 pm, depending on how long you lingered at the beach. Check your map and start making your way back to your locker. If you want to you can stop along the way to see the turtles (#5), the aquarium (#6), and if your timing is good you may catch the Voladores cermony (#10). By about 3:00 pm you’ve returned your snorkel gear and belongings and are dried off and ready for nature and culture time. Check your map and head down the path towards the Cave Route to the Mayan Village (#26). If you’re timing is right you can check in at the Nature and Culture Tours (#27) or the Pre-Historic Ball Game (#29). Otherwise just follow the Cave Route to the Mayan Village. After a look at the Mayan Village you can walk through the Mexican Cemetery (#34) and St Francis of Assisi Chapel (#33) on your way to the Butterfly Pavilion and Aviary (#9) where you should arrive around 4:00 pm, if you didn’t stop to take in a ball game or nature tour. Assuming the Mexico Xcaret Espectacular starts at 7:00 pm you should have time for some dinner or snacks. There are many restaurants and snack bars to choose from but we suggest you make your way towards the main theater so that are close and can go and get seats right after your meal. If you’re running late or aren’t overly hungry there are snacks like popcorn, hot dogs and ice cream at the theater. Whatever you do don’t miss the Xcaret show! It truly is spectacular and is worth the price of admission alone. The theater is huge so you’ll usually always get a seat but we still recommend getting there at least 15 minutes before showtime to get good seats. The theater is open air so there is no AC and as heat rises the lower you sit the cooler you will be. Plus you’ll be close to the action. If nature is your primary focus and/or you have no desire to swim or snorkel you may want to follow the Xcaret eco theme park Nature Lovers Itinerary which takes in the abundant wildlife, flora and fauna in the park. Start your day the same way as the Live Dream Discover Itinerary but check the schedule for any nature related events to add in to your day. Before going to the Rotating Scenic Tower stop in at the Regional Wildlife Breeding Farm (#15) and check in at the Nature and Culture Tours to see if there is a tour you are interested in. By this time you should be ready for lunch so pick a restaurant close by to relax over a tasty meal. Then maybe grab a hammock for a little nap. After lunch and nap you may want to try the exciting Sharks! Hands on Adventure (#40) or the Stingray Encounter (#43). Note: There is an additional charge for these activities. From there head to the Jaguar Island (#7) before heading to the Aviary and Butterfly Pavilion and Bat Cave (#32) where you will have plenty of time to enjoy the beautiful birds and butterflies. End your day as in the Live Dream Discover itinerary with a meal and the Xcaret Espectacular show. If you love being in the water it’s easy to spend the whole day exploring the rivers, lagoons and beaches at Xcaret adventure park. Follow the Live Dream Discover Itinerary for the first half of the day. Once you’ve completed the Underground River swim head to the Water Activities Center (#30 on map) to see if there’s anything you want to do. You can spend the rest of the day exploring and playing at the snorkeling inlet, in the natural pools and on the pristine beach. There is also Snuba (#1 & #3), Snorkeling Tours (#1) and a Sea Trek Underwater Walk (#21) for an additional cost. Just make sure to be dried and dressed in time for the show! If your main interest is in learning more about the local culture there is plenty to keep you busy. Start your day the same as the Live Dream Discover Itinerary however pay extra attention to the posted schedule for cultural shows and activities. This itinerary will not be as structured as the others since you’ll want to plan around the show times. For this reason we won’t list the order of things but instead we just list the must see’s for lovers of culture. The ritual ceremony of the “Voladores” (#20) is a custom which expresses respect for nature and the spiritual universe. It’s really beautiful and awe inspiring to watch. It’s usually on at 11am, 1pm and 3pm but check the schedule for changes. The Pre-Hispanic Dances display the history and culture of these land through music and movement. The dances may change seasonally so check the program for times. The Sacred Mayan Journey recreates the ancient annual pilgrimage the Maya performed in canoes paddling towards the island of Cozumel to worship the goddess Ixchel. Seek out the various archaeological sites around the park to learn more about the history of this ancient people. The Hacienda Henequenera and the Museum of Mexican Folk Art is a representation of typical 19th century mansion architecture and Mexican handicrafts. The Mexican Cemetery and Bridge to Paradise are great examples of the respect, humor and colorful symbolism that this culture brings to life and death. Emerge from the Xcaret jungle into a replica of an ancient Mayan Village where you can learn about their way of life, social organization, how they build their homes, and what they eat. Of course you should finish the day with the best display of Mayan Culture at the Xcaret Espectacular Show. Xcaret Park Discount Tickets: Kids (age 5-11) are 50% off, Kids (under 4) are Free! Note: We advise you to book online in advance as you will receive a 10-15% discount. Plus if you use our special Live Dream Discover link you will get a discount plus we will also make a small commission at no extra cost to you. and we will be truly grateful for the support. Note: Always check for limited time special offers and seasonal deals. Don’t forget a change of clothes to put on when you’ve finished your water activities. A waterproof bag comes in really handy to carry your phone and some cash. Click here to see our favorite phone pouch dry bag. Sunglasses are a must when you’re on land although you won’t need them when you’re snorkeling. A waterproof camera is highly recommended as you will be spending most of your time in the water. We captured so many great photos & video at Xel Ha with our GoPro and couldn’t imagine traveling without it. The good news is the prices have dropped since we purchased a couple of years ago. 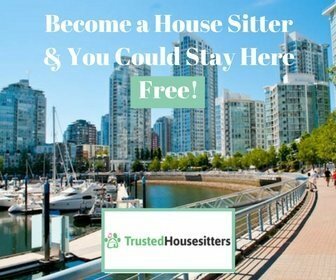 Click here for pricing and reviews. Water shoes or flip flops are a good idea because you’ll be in and out of the water and having to dry your feet to put on shoes every time is a pain. You can pick up a good pairpretty inexpensively if you plan ahead. A hat is a good idea as the Mexican sun is really strong and you don’t want to ruin your day with sun stroke. We love these waterproof, sunscreen hats when we travel in hot climates. They are lightweight, durable and fold up into nothing. Eco-friendly sunscreen is vital at Xel Ha water park, in fact it is required that you only use the reef safe type. They do sell it at the park but it is more expensive than buying your own before you go. You will need it in other protected areas on the Maya Riviera so it’s definitely worth purchasing a bottle. Note: Lockers and towels are provided so you can safely store your camera and clothing when not in use. Planning a trip to Mexico? Make sure you don’t forget anything with this checklist on what to pack for a beach vacation! You can add first class bus transportation to your admission for $30 USD. The local ADO bus also makes stops at Xcaret. Check at the Cancun and Playa del Carmen bus stations for the schedule. If you have a car the drive is quite easy and there is free parking on site. If you’re interested in some of the other Experiencias Xcaret Parks take a look at our Xel-Ha Itineraries for a great day or snorkeling, fun and relaxation or check out Xplor for a day of adventure. We would definitely recommend a day trip to Xcaret when you’re in the Riviera Maya and if you can spare the time we’d even suggest two days. It’s clear why Xcaret is the flagship for the Experiencias group as it has a little bit of everything. At Xcaret Park you can learn about the Mayan culture and history, see native birds, animals and sealife, snorkel or boat along an underground river, relax on the beach or in a hammock and in the evening enjoy an incredible live show. Plus of course there’s an abundance of food and drink options. If what you’re looking for is a well-rounded experience that gives you a taste of all that this beautiful region of Mexico has to offer then you will not be disappointed in Xcaret. It’s a place for all ages and activity levels and is perfect for families, couples and groups of friends with similar or diverse interests. However, if you are looking for a little less culture and more adventure check out Xplor Park for a day of adrenaline pumping fun. If your desire is to spend the day exploring a beautiful undersea world and enjoy all inclusive food and drink then Xel-Ha may be more to your liking. We have a similar review of Xel-Ha if you are considering a visit. If you are having a difficult time deciding between Xel Ha and Xcaret this comparison article will be of some help. 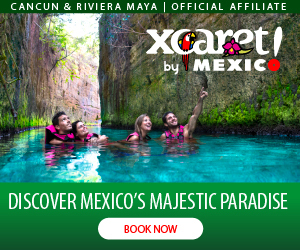 There are also several other Experiencias Xcaret Parks offering a variety of fun adventures and experiences so if you have decided that Xcaret is not for you there is bound to be a park that is. If you want to continue the adventure after the park closes take a look at staying at Hotel Xcaret Mexico. Disclaimer: This article contains affiliate links. This means that if you make a purchase through one of these links we may receive a small commission. This is just one of the ways we make a living which enables us to keep this blog going and keep our dream alive and we are truly grateful fro your support. All opinions in this article are truthful and are 100% our own. Looking for more things to do in Cancun? You will probably enjoy this article listing the best of Cancun beaches, resorts, nightlife, activities and restaurants in Cancun, one of the most popular beach destinations in Mexico. When you’re planning a vacation to the Yucatan in Mexico it’s good to have a checklist of things to bring. This article listing what to pack for a beach vacation will make sure you don’t spend precious vacation time at the mall…unless of course that’s your idea of fun. If you’re staying in the Yucatan this list of some of the best beaches in Cancun is an essential read!